Ten prototypes were produced of the He 100, from designs by Siegfried Gunter and Heinrich Hertel, in an effort to produce a fighter which would replace the Messerschmitt Bf 109. Beginning as a private venture in 1937, the V I first prototype was powered by an 1100-hp DB 601A engine, and flew for the first time on January 22, 1938. On June 6 that year General Ernst Udet flew the V3, which had a boosted DB 601 and short-span wings of 7.6 m (24 ft 1l.25 in) to an international 100-km (62-mile) closed-circuit speed record of 643.7 km/h (400 mph). On 30 March 1939 He 100V8 set a new world absolute speed record of 746.604km/h (463.9 mph) at the hands of Flugkapitan Hans Dieterle. Despite these and other impressive performances the German authorities refused to select the He 100 as the successor to the Messerschmitt Bf 109. The only other examples built were three pre-production He 100D-0s and 12 production D-Is which were completed by September 1939, preparatory to tests for the Russians for their own evaluation; Japan bought the three D-0s, and these aircraft did fly with Japanese naval aviation, designated AXHe1. 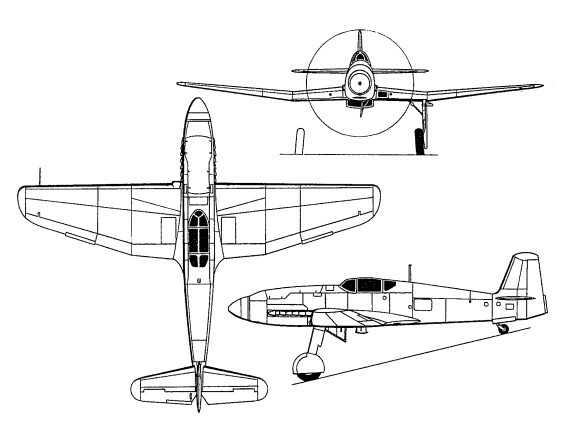 Heinkel retained the 12 He 100B-1s for defence of its factory at Rostock-Marienehe.